To have a Website or not to have it??? I’ve lost count of the times I heard a business owner saying “We don’t have a website yet. We are only a small business, you know...” or worse giving me their website address only to get to an non-ranked and un-monitored site which never brings any business. There is a general lack of knowledge on how to make the internet work for an off line business. It is easier than most people think. The most popular excuse is lack of finances because web designing doesn’t come cheap. But again, do we need all those fancy graphics and blinking stars to get business leads? Off course not. A plain and simple website which communicates the business objectives is all that what is important. It’s like a brochure and business card with an advantage that it is delivered to clients and customers 24 hours a day, globally. Magic. As a matter of fact, people from more than a hundred countries are visiting this website. No street corner brochure delivery necessary. Don’t get me wrong, there is nothing wrong with traffic light brochures. There is a smarter way to supplement that, if your market needs the hard copies too. If owning and managing a small business website is not your thing, you better work on advertising your products and services on other high traffic websites. You can try it for a few rands per month and see if you see any returns. Who knows? You may be leaving money laying on the table. 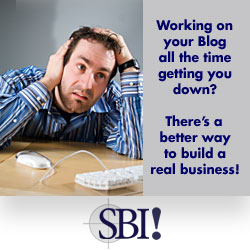 In my opinion pure blogging is not for every niche and business type. But what the heck, you may try that too. This is such an astonishing, helpful and informative post. Thanks for sharing. Take a look on customized business plans from UK site to help your business grow. Earnings on file hosting services are a parable in languages of all sites about earnings on the Internet. Beginners are enticed the improbable sums and the most amazing simplicity. Whether is in these beliefs though an element of truth? It should be taken into http://risebiz.co.za/ account this question in more detail. Cooperation with file hosting services really favorite method of all beginners who decided to scare together a fortune on the activity Internet. The reason of such popularity consists what the even beginning make money understands work of system: someone spreads musical tracks, movies or software in a network, someone downloads, and someone – the intermediary – earns on it. File exchange services are also similar intermediaries.